Very nice piece, has good weight to it. An extraordinarily detailed face is featured on this beautifully handcrafted Cambodian Buddha head statue. 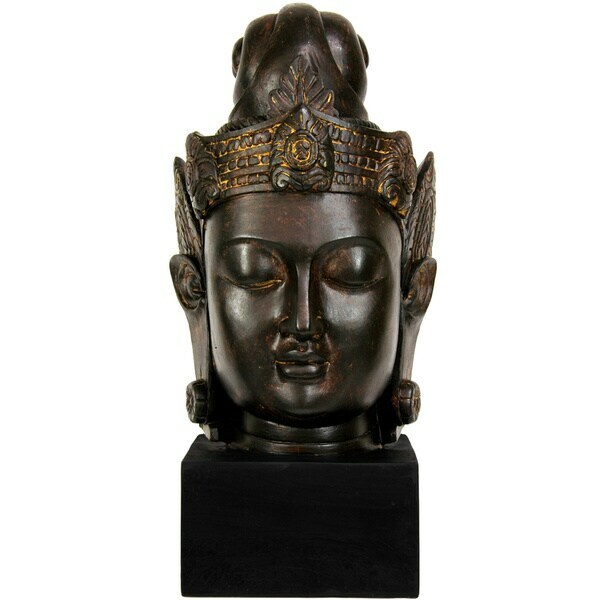 A faux antique bronze patina has this Buddha statue looking like the original. 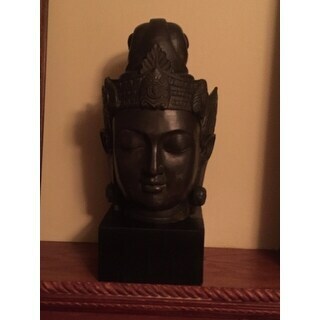 Having searched both in person and on-line I found the perfect Buddha on Overstock.com. She is beautiful and the "perfect fit" for the room. I just could not be happier with my selection. This buddah head is perfect & looks so expensive!!! Perfect! Would not purchase again; found this item rather unattractive and not particularly well made. "How much does this Buddha weigh?" This weighs approximately 8 pounds.